Bankruptcy asset sales of used vacuum pumps. Make your bid! 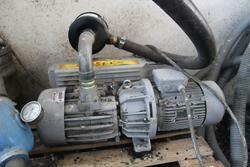 Are you looking for used vacuum pumps for the plastic industry? On Industrial Discount you can find all the best used vacuum pumps, sold at reasonable prices. Choose the item that best suits your needs and save a great amount. Online auctions offer many advantages because they allow you to bid from the comfort of your home or office, with no need to travel to reach the auction spot; moreover, all items are supplied with all relevant information that you can review at any time. Searching for the lot that best suits your needs is fast and easy: if you wish, you can refine the results even further by price or percentage of discount. Moreover, you can always ask to inspect the item before making your offer: simply contact the auction agent, whose details are provided on the auction sheet. 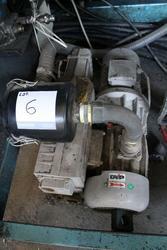 Don't miss the used vacuum pump sold at the cheapest price! Make your offer now for the most affordable items. Do you want to stay updated about the upcoming auctions in the plastic category? Subscribe to our newsletter! You will receive a weekly email showing new items for sale.